This month Age of Innocence was featured at the National Black Book Festival in Texas and The Mid West Book Fest in Wisconsin souvenir guides. Copies of the novel were announced and given away at both events. Age of Innocence is also featured in the African Americans on the Move Book Club's (AAMBC) June Blog Tour. In July, Age of Innoncence will be featured at the Atlanta Chocolate Affair and the book trailer will be featured on RawSistaz.com. Foreshadowers: The Book of Legends (Book 2) will be released by Messenger Books in July 2011. Check back for further updates. This month I was able to give my first donation to a non-profit charity Georgia Campaign forAdolescentPregnancy Prevention (G-CAPP) from my book sales on Kindle and Smashwords.com and. It felt so good to give back and make a difference in the community! :-) Every little bit counts. I am an author with a "Purpoz" of reaching out and helping others. Buy my books and tell others so that more proceeds can go towards a greater cause. The Saturday panel discussion for Shades of Romance Magazine's online book fair went very well! :-) I had a wonderful time with my fellow authors and and readers. This time the topic was about E-books and we shared a wealth of information. The authors in attendance were: Shelia Goss, Tremayne Moore, Beverly Taylor, Chicki Brown, Angie Daniels, and LaShaunda/Pres. of Sormag., and me again of course. LOL! LaShauda did an awesome job in coordinating this event. You can check it out on Sormag.com and don't forget to check out the book trailer theater as well! This month Age of Innocence was featured at the National Black Book Festival in Texas and The Mid West Book Fest in Wisconsin souvenir guides. Copies of the novel were announced and given away at both events. 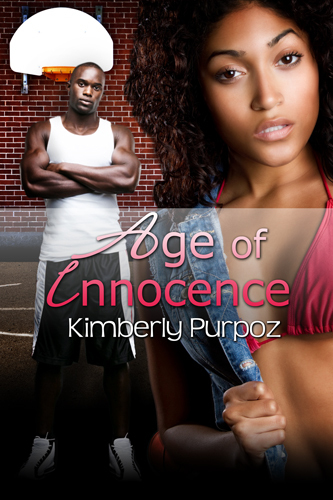 Age of Innocence is also featured in the African Americans on the Move Book Club's (AAMBC) June Blog Tour. Foreshadowers: The Seeker of Legends (Book1) was featured in Love Romance Novels Revolving Books. Get your Free Sample downloads of my novels from Smashwords.com! You can get 25% off with this announcment for my novel Age of Innocence on Smashwords.com, just enter the following code: GB45V. Offer expires on July 15, 2011. The Saturday panel discussion for Shades of Romance Magazine's online book fair was a big success! :-) I had a blast with my sistah authors and and readers. The authors in attendance were: Grayson Reyes-Cole, Lutishia Lovely, Sheila Lipsey, Elaine Cantrell, Lisa Watson, LaShaunda/Pres. of Sormag., and me of course. LOL! LaShauda did an awesome job in coordinating this event. You can check it out on Sormag.com and don't forget to check out the book trailer theater as well!